The European Strategic Cluster Partnership on Personalized Healthcare, bioXclusters plus – gathering Biocat (Catalonia), BioM (Bavaria), BioPmed (Piedmont) and Lyonbiopole (Auvergne Rhone-Alpes) – organized in collaboration with the EU Japan Centre a mission to Japan from Oct 10th to 14th 2016, that took place in Osaka and Yokohama. 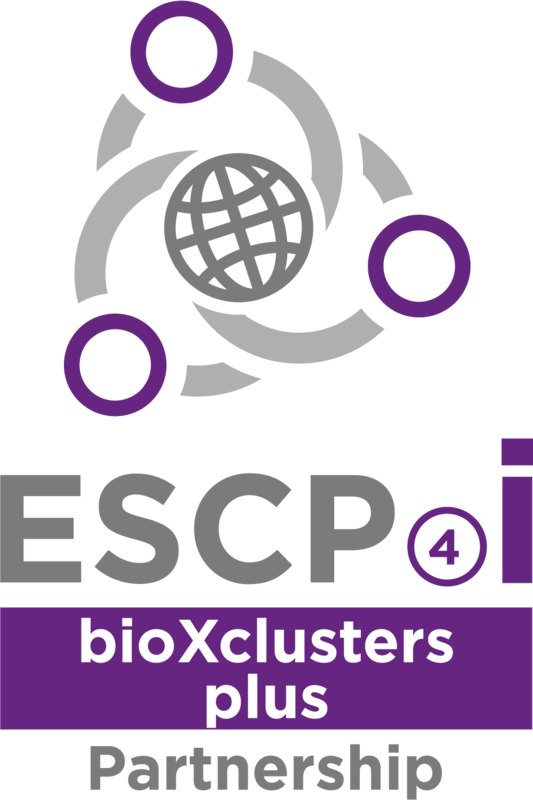 The bioXclusters’ plus delegation was composed by the 4 clusters’ representatives along with 26 SMEs from their regions: 2bind GmbH, 4SC AG, Ability Pharmaceuticals S.L., Apceth GmbH & Co. KG, Ascenion GmbH, Bioindustry Park Silvano Fumero SpA, Boeters &LieckCoriolis Pharma Research GmbH, CTIBiotech, CYTOO SA, FGK Clinical Research GmbH, Gams Wellness, genOway, Indicia Production, Iris Biotech GmbH, Klifovet AG, Laboratorios Rubió S.A, Laboratorios Salvat S.A., Leukocare AG, Leukos Biotech, Medigene AG, Mind the Byte S.L., Novotec, Theranexus, Thrombotargets Europe S.L., Zeclinics S.L. Thanks to an exceptional and mutual collaboration between bioXclusters plus and the EU Japan Centre, around 60 participants from 9 different European countries (Austria, France, Germany, Greece, Italy, Netherlands, Spain, Sweden and UK) attended this joint mission. On October 10th, the joint delegation attended lectures and experts’ presentations on business opportunities on the Japanese healthcare sector, organized in cooperation with the EU Japan Centre. 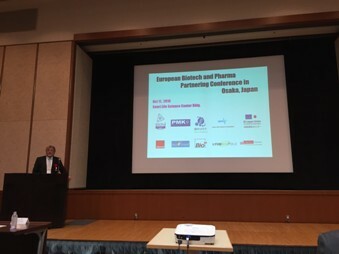 Then, on the 2nd day, the delegation participated in a dedicated “European Biotech & Pharma Partnering Conference” co-organized by Osaka Bio Headquarters and bioXclusters plus at the Senri-Life Science Center in Osaka, with the support of and the EU Japan Centre. EU participants had the opportunity to meet with potential Japanese partners. 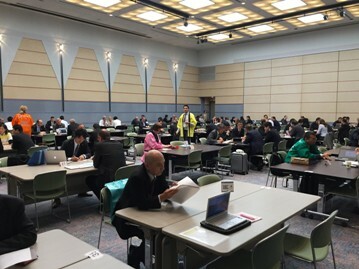 As a result, a total of 288 pre-arranged B2B meetings were held with 61 Japanese companies and organisations from the Kansai region. The Enterprise Europe Network set up pre-arranged meetings using a matchmaking platform (https://www.b2match.eu/EUJ-bio-pharma-BE-2016). Finally, for the last 3 days of the mission, the joint delegation attended the Bio Japan Expo in Yokohama. On this occasion, the bioXclusters Plus partners introduced their initiative to Japan during the Bio Cluster summit at Bio Japan, organized by the Japan Bioindustry Association (JBA) on October 13th . In the next months, the alliance intends to build up a “direct Gateway” based in Japan for its European SMEs to reinforce their market access and foster business relationships with a fast-track dimension. To this purpose, bioXclusters Plus organizes a dedicated “EU Japan cluster matchmaking event” at the occasion of Bio-Europe 2016, in Cologne.